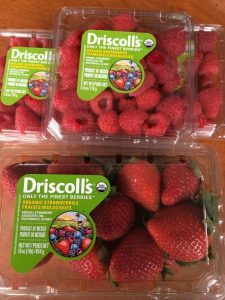 This post about this Easter Dessert ideas is sponsored by Driscoll Berries. I was provided promotional items but no further compensation. 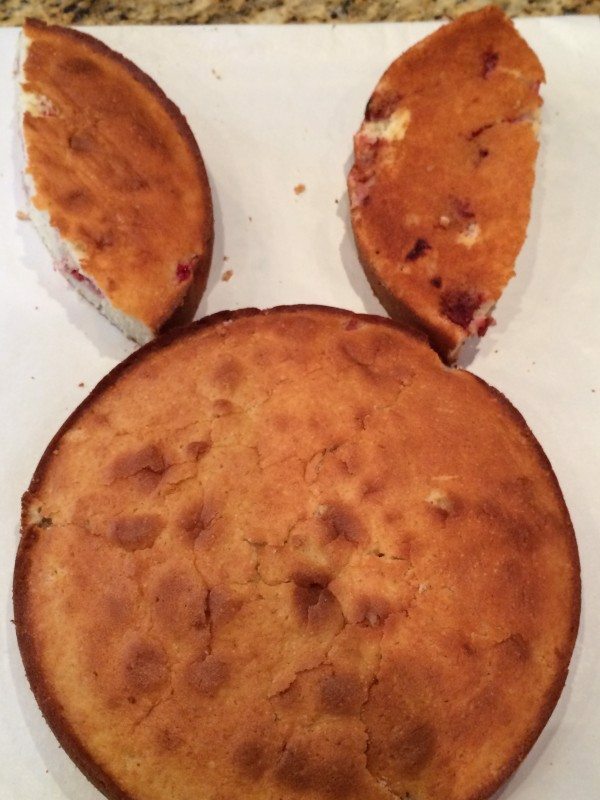 All opinions about this Berry Bunny Cake are 100% my own. 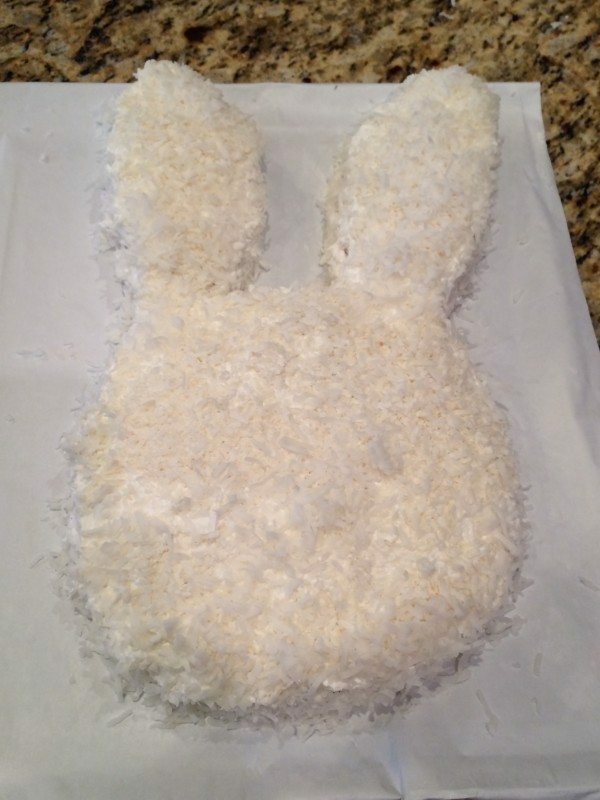 Last year my husband and daughter made the traditional Easter Dessert, the cut out Bunny Cake. You know the one with all the candy and sugary frosting that you wait all day to eat. The folks at Driscoll have decided to lighten up this Easter Dessert and substitute all the sugary candy for some sweet and healthy berries. 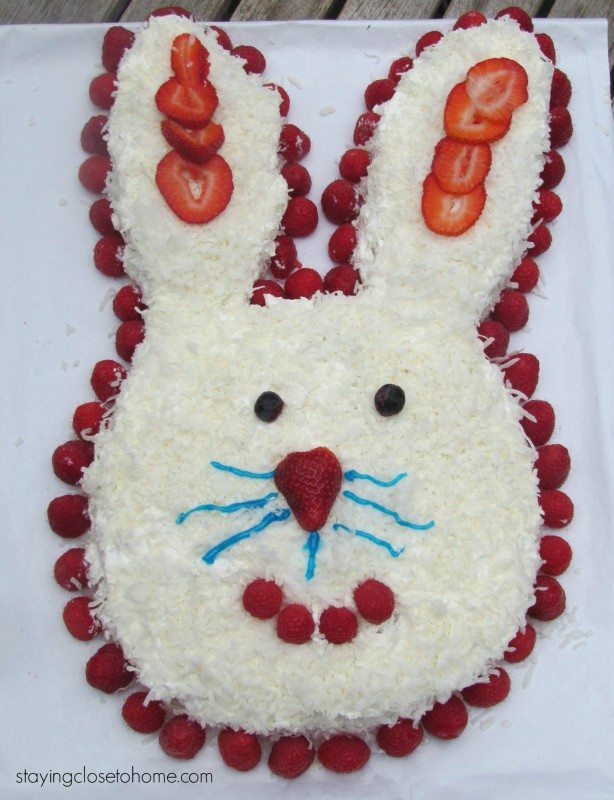 Driscoll’s Bunny Cake is full of all natural ingredients, especially berries and will be a crowd and waist line pleaser. We adapted the recipe slightly and made it even a little lower in fat by using cool-whip instead of the frosting in the original recipe. I know that takes away from the all natural claim but you could also make your own whipped cream too. SIDE NOTE: The frosting will stay fresher longer than the whipped cream and you must refrigerate the cake if you frost it with the whipped cream. The cake was a wonderfully dense cake filled with cut up strawberries. Caitlin actually made this cake again but unlike the last time she made this Easter dessert, she made the cake from scratch. 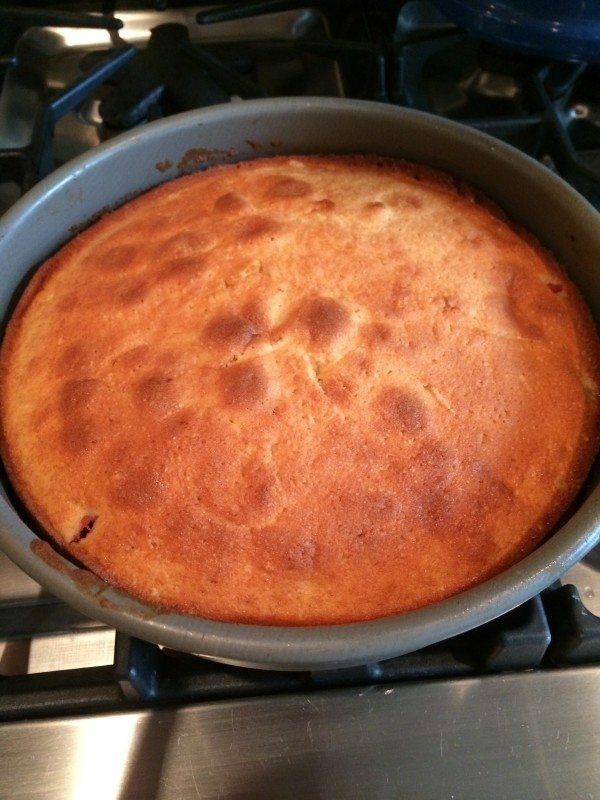 We did not have the bunny cake pan suggested in the recipe so she baked the recipe in a two 9 inch round cake pans. You will reduce the baking time slightly as well. 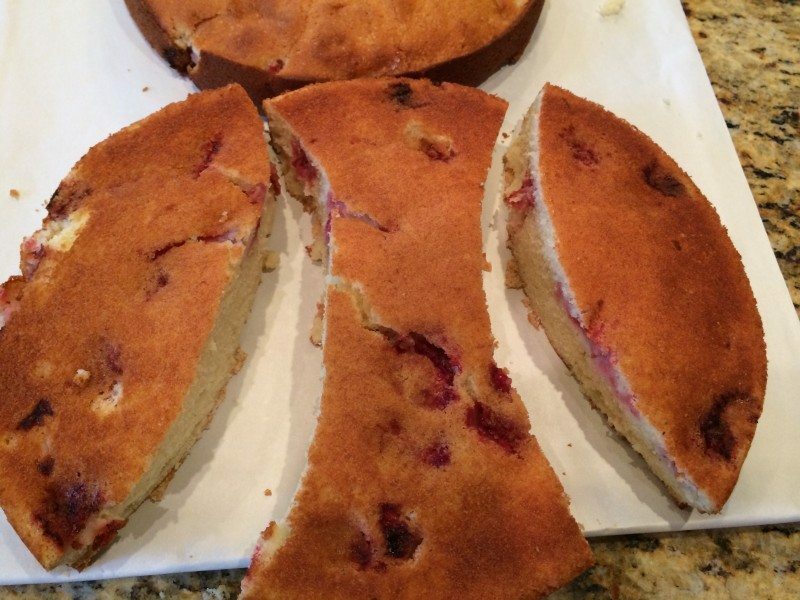 Cut out ears from one of the circles, you can use the center for a bowtie if you wish to make a larger cake. Then generously frost the cake with either whipped cream or frosting in the recipe. 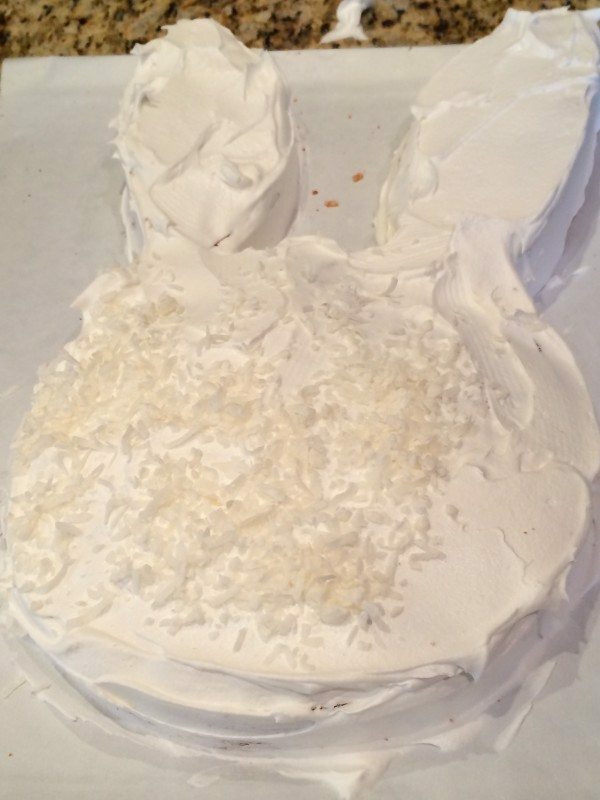 If you family does not care for coconut, you can go ahead and just frost it and add the berries, I think the coconut makes the bunny cake look furry! 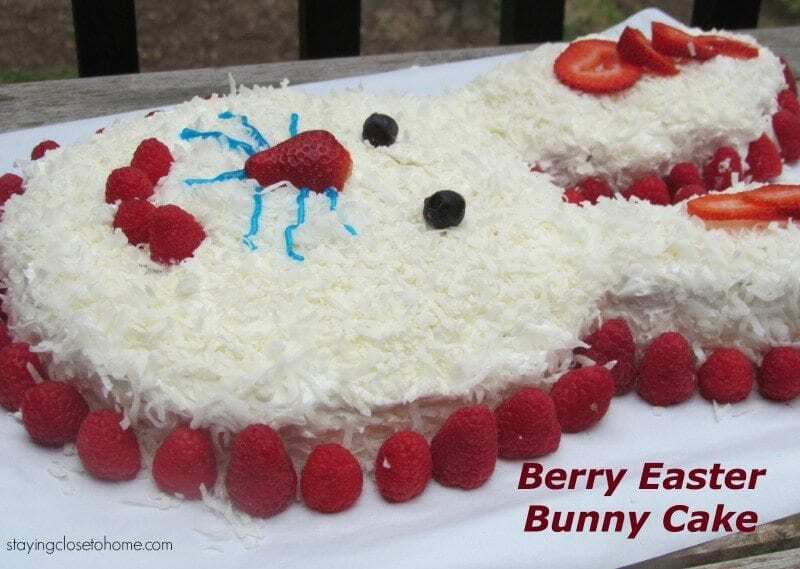 What a festive and healthy way to decorate this Easter Dessert with all the fresh berries. You might as well have an extra slice because shouldn’t this bunny cake be considered a fruit serving with all the amazing Driscoll berries. Be sure and check out all the other yummy and less healthy Easter Desserts we have made in the past. What a cute idea! Love the berries with it.